There’s no other place in this world that evokes the imagery and senses like Tahiti. This is the land of Polynesian beauty, immortalized by Gaughan and revised by Hollywood. Air perfumed by vanilla trees and tropical flowers. This is paradise. The island of Tahiti is the largest of 118 islands and atolls of French Polynesia. These islands are divided into five island groups. Tahiti belongs to the Society Islands, which also includes nearby Moorea and Bora Bora. Tahiti receives only a tiny fraction of tourism as compared to Hawaii, leaving this chain of islands unspoiled and secluded. Relaxation is an important element in your vacation to Tahiti, and you’ll find plenty to experience as well. There are great diving and snorkeling opportunities, and a variety of activities such as bike rentals to explore the island for a day. Tahitian culture is intoxicating, and you’ll find yourself at home on these islands. Tahiti is only 8 hours away from Los Angeles and is located in the South Pacific (find Hawaii on the globe then take a straight line south past the Equator). While French and Tahitian are the official languages, you’ll find English spoken at all the resorts and tourist locations. Weather is perfect year-round, though rain occurs more frequently in the January – March timeframe. The most distinctive accommodations in Tahiti are overwater bungalows. You can opt for a special canoe breakfast delivery, lounge about enjoying the rhythmic sounds of the ocean, and delight at the views of fish from your glass floor. Bungalows are thatch-roofed, and feature traditional Polynesian details. Less expensive accommodations include categories such as Beach or Garden Bunglaows, Lagoonview Rooms, and Gardenview Rooms. It is tough to pick just one island to visit which makes the honeymoon style of “island hopping” so attractive. Two island itinerary combinations are great for 7 night stays, and three island itineraries are popular for 10 or more nights. Of course, you can see many more islands cruising! Cruising is an excellent way to see and experience the islands. There are several cruise options from which to choose. Paul Gauguin and Windstar offer elegant, small ship sailing options. The Aranui 3 freighter provides an adventure on a working ship, with with two week itineraries visiting the remote Marquesas Islands. Private and shared yachts are for hire out of Raitea, for 3 to 7 day itineraries. ?And mainstream cruise lines will feature, from time to time, a cruise itinerary that stops en route in the South Pacific. Happy travels! ~Cindy Grant, Expert Family Travel. Contact us at 972-625-6200 to plan your next vacation. Serving Dallas Texas metro area plus clients across the US/Canada. Ah, my favorite destination of all…Tahiti. Officially known as French Polynesia, this broad collection of South Pacific islands is about 2 hours due south of Hawaii. With pristine, calm lagoons, beautiful views, ideal weather, gentle people, and tropical flowers perfuming the air this destination embodies the perfect beach destination. If this is your one and only trip to Tahiti, I would recommend a combination itinerary of Moorea and Bora Bora, staying about a week. Plus, you will either fly on a red-eye to get to Papeete the next morning (continuing on to Moorea) or you’ll need to stay one night in Papeete upon arrival. If you have more time than a week, or if this is your second trip to Tahiti (lucky YOU! ), I would recommend visiting one of the lesser known islands on your multi-island itinerary, such as Taha’a or Tikehau. 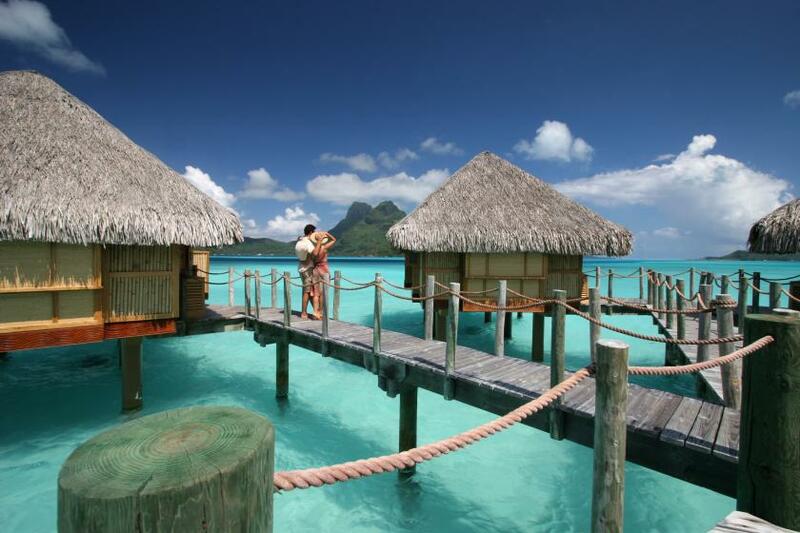 Tahiti is best known as a honeymoon haven; certainly, an overwater bungalow on a crystalline lagoon is romantic. But Tahiti is also ideally suited for scuba and snorkeling enthusiasts. And several resorts are family friendly. Promotions can take the sting out of the price-points for a family traveling to Tahiti, but it will always be more expensive than destinations such as Mexico or Hawaii. There are two negatives for Tahiti as a destination: distance and budget. The flight from LAX is about 8 hours, but is in the same time zone as Hawaii and doesn’t require that you cross the International Date Line. There’s just no way around it: Tahiti is relatively expensive for a vacation, especially when considering the “must do” accommodation — an overwater bungalow in Bora Bora. There are a few ways to reign in the costs, and we can certainly talk about your options if you’d like to put together a Tahiti trip. Traveling in November, April, and May are better price-wise and some short-stay air promotions can make a vacation here affordable when budget is key. I do recommend booking Tahiti 7-9 months in advance because flights and resorts fill up. Last minute packages are best booked with a bit of flexibility in terms of dates and resorts or room categories. Our packages take the guesswork out of a Tahiti trip, and will include your flights, accommodations, breakfasts, interisland flights and transportation to the resort. We can add travel insurance, dinner plans, and day excursions to fit your needs as well. Can’t decide where to go this year? Should you return to one of your favorite resorts or is it time to check a new destination off your bucket list? Here’s a short list of South Pacific destinations to generate some new ideas. Hawaii - generally experienced one island at a time, staying 5 to 8 nights. If you have 8 or more nights, a two island hopper might work for you. Staying in Waikiki (Oahu) means you can skip a car rental. But staying on Oahu’s North Shore or on the other islands (Maui, Big Island, Kauai) a car rental is definitely recommended. No passport is required, driving is easy, and the islands lend themselves to exploring on your own. Ideal for couples, families, reunions, and small groups. A little over 5 hours from LAX to Oahu. Tahiti/French Polynesia - everyone should visit Tahiti (and especially Bora Bora) at least once in a lifetime. There is nothing quite like an overwater bungalow in the lagoon facing Mt. Otemanu. High season goes from June through October, pricing higher than Low season November through May. You may need to stay your first night in Papeete before continuing on to your island destination. Typically experienced as a 1 to 3-island itinerary, staying 5 to 10 nights. Moorea is a less expensive alternative, or can pair nicely with Bora Bora for a 2-island itinerary. Lesser-known islands make for a great first escape or for a return visit. While families are welcomed in many resorts, most travellers are honeymooners, couples, and adult divers. Flight time from Papeete is 8 1/2 hours. Fiji - known for friendly faces and beautiful beaches. A 10 hour flight from LAX. Typical itinerary is for 7 nights for one island, or 9 to 12 nights for two islands. Depending on air schedule, an overnight in Nadi may be necessary. This is a divers paradise as well as a perfect spot for a honeymoon. Fiji is also family friendly. Only one resort offers overwater bungalows, and they are expensive and sell out quickly. Typical accommodations are beachfront bures (bungalows). 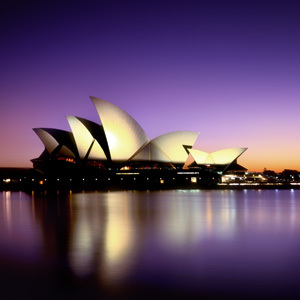 Australia – best experienced as part of an escorted tour, or an independent multi destination itinerary. Allow 2 weeks minimum. Don’t forget, seasons are reversed. New Zealand – Visit either North Island or South Island if you have less than 2 weeks for travel. Or combine both islands if you can go 2-3 weeks or longer. An escorted tour makes things easy and efficient, or try a self-drive itinerary if you are independent. Cook Islands – for the “been there, done that” crowd. Cook Islands offer a sleepy, laid back version of Tahiti and Fiji. No luxury-level hotels and flight schedules are a bit more challenging (compared to other destinations). Cruise – rather experience the South Pacific by ship? NCL offers a one-week Hawaii cruise. Paul Gauguin offers 7 day and longer French Polynesia cruises. And multiple cruise lines offer the South Pacific on special itineraries on select days. Just ask! LeMeridien Bora Bora – pack your bags! LeMeridien Bora Bora is a wonderful, 4 1/2 to 5 star resort set on a motu island and facing back to Mount Otemanu and Bora Bora’s famous lagoon. This resort is best known for their sea turtles onsite (you can swim with them). This resort recently (late 2010/early 2011) had underwent renovations. Well, thank you Thomas Reynoird, Groups Manager at LeMeridien Bora Bora, for sharing the latest resort video. It’s only 3 minutes long, but it certainly imparts a huge WOW factor — including the new interior of the bungalows, grand sweeping views of the resort, and great shots of real people (employees and guests). I am left with a feeling like I just returned to the LeMeridien! If you are considering this resort, you MUST watch this video. And certainly, ask for a quote for your travel dates and I will be happy to put a quote together for you. Bora Bora is located in Tahiti (French Polynesia), and is about 8 hours’ flight from LAX. Bora Bora is an exceptional island experience on its own, and can pair well with another island for a 2 island itinerary for your honeymoon or anniversary. Bora Bora Pearl Resort sits on a motu island facing the picturesque island of Bora Bora in French Polynesia. This gem of a resort is characteristically Polynesian in style and offers bungalows over the water, along the beach, and among the gardens. The bungalows are thatch-roofed, spacious, and feature woodwork and touches unique to the Tahitian culture. Don’t worry, you won’t be roughing it – all bungalows are air conditioned and have state-of-the-art bathrooms, mini bars, comfortable beds, satellite television, and DVD players. The main reception building houses the restaurant and bar, with a smaller restaurant and bar behind the pool. Enjoy beautiful views from the restaurant and pool areas of the azure lagoon and volcanic peaks of Bora Bora. There are tennis courts and water sports equipment available for use. I have stayed here twice, and both times I found the service to be gracious and polite. And while the clientele are mainly couples celebrating romantic milestones, this resort is also great for friends traveling together or a family that prefers a sedate, laid back setting. Bring a novel, grab a hammock, and be prepared to completely unwind for a few days in tropical paradise. Diving enthusiasts will enjoy the PADI certified Bora Bora Blue Nui Dive Center located at the resort. And for a little pampering time, the resort’s Manaea Spa is set along a tranquil pond with lush tropical vegetation. About 80 bungalow units total. To get to Bora Bora, you will fly in to Papeete Tahiti International Airport, and take an interisland flight from Papeete to Bora Bora. From Bora Bora airport, you will then need a prearranged boat transfer to get to the resort. The kids are off to college, now what? Europe: what’s your travel style? Welcome to my blog! 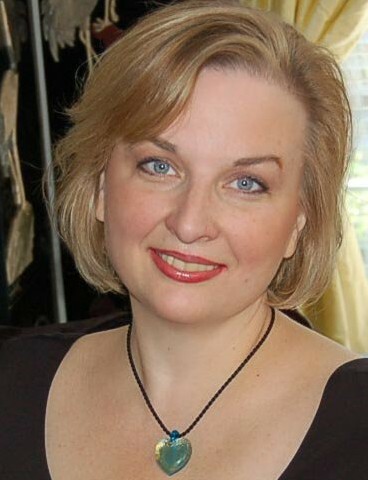 I am a travel consultant, and specialize in creating the perfect dream vacation for empty nest couples who want a second honeymoon to reconnect with each other. Contact me at 972-625-6200 or by email at cindy@expertfamilytravel.com to start planning your next dream vacation.